This level have normal difficulty and you need to use good strategy to fill the board with soda. 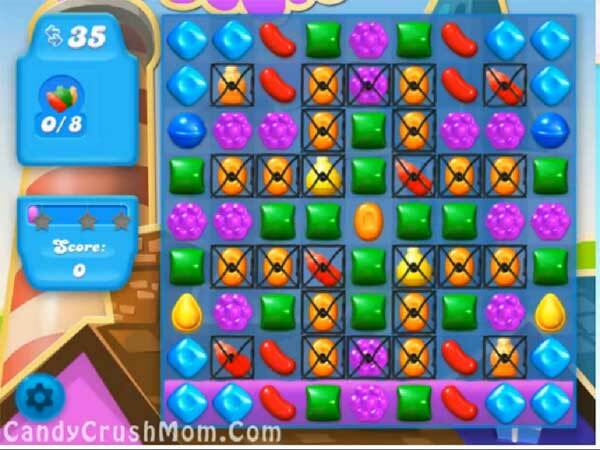 Try to play from top and break grills using the special candies like striped candy or colorbomb. Then combine bottles with same color candy to fill the board within 35 moves.